On its 3rd release Casual Lab presents two new artists who contribute one track each. These two tracks are supported by two great remixes. With Mike Starr feat. Mama, Riccardo Rizza, Douglas Greed and Sven Tasnadi we go on a musical journey passing London, Italy, Jena and Leipzig. A farraginous mix that blends into something great. 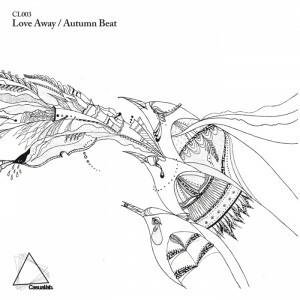 While „Love Away“ is more a Peak-Time Track, “Autumn Beat” invites to drift and relax. The vocals in „Love Away“ come from “Mama”, whose voice you could already hear on two of the last “Tiefschwarz”-Tracks. And after listening to „Autumn Beat“ you will be looking forward to the next Open Air Season! Dieser Eintrag wurde veröffentlicht in Allgemein von Casual Lab. Permanenter Link des Eintrags.